Throughout my life, I was told that I had a heart murmur; this had always been a part of my life. Every medical provider who has listened to my heart has commented on it. It wasn’t until about a decade ago that I finally found out that I have a Bicuspid Aortic Valve. I am in good company – Arnold Schwarzenegger was born with a bicuspid aortic valve. Most people have a tricuspid valve. This means that normal aortic valves have three tissue leaflets. 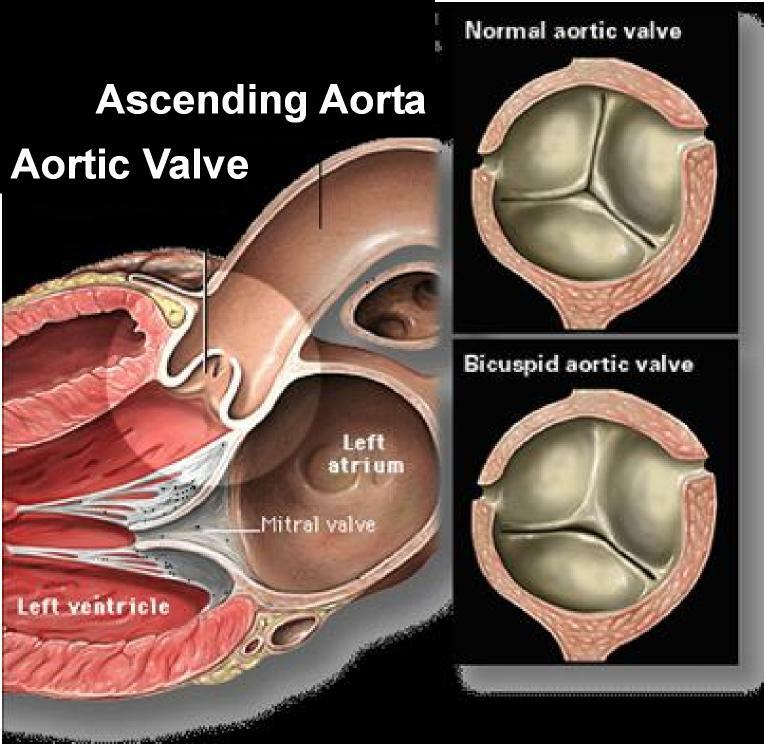 In the simplest terms, a bicuspid aortic valve can be a serious heart valve disorder in which the valve only has two leaflets, or flaps, that control blood flow through the heart. Interestingly, bicuspid valves are one of the most common forms of heart valve disease. According to reports (and my new cardiologist), this congenital variation occurs in 1% to 2% of the general population. Like other congenital issues, bicuspid aortic valves are formed during pregnancy when two aortic leaflets fuse together. This variation in the development of the valve can lead to serious medical problems. However, that is not always the case. I have had several medical tests recently (more coming) and am pleased to know that calcification (which I understand as stiffening) and leakage are not occurring in my heart. In fact, according to my cardiologist (that sounds unbelievably weird to me – my cardiologist) my heart sounds pretty good. Now for the frustrating part…my cardiologist also says that this variation in heart valve structure puts me at risk for a variety of problems. Because of this, she has cautioned against high intensity interval training (HIIT) which had become my new favorite cardio workout. She also asked that I consider not taking my weight lifting to extremes. Evidently both activities cause spikes in blood pressure and that puts undue strain on my heart. Now you may have already put two and two together and have begun to ask…what about Arnold? Yes, he did, and as far as I know does, still lift weights…heavy weights. However, he has also had at least one surgery – valve replacement. That is not one of my many life goals! However, of course there had to be a however, there may be another problem. The word aneurysm is pretty scary. I have been told that I may have two. One is evidently to be expected. It is at the root of the aorta. According to Cedars-Sinai website, “There can be significant variation in the way individuals are affected. However, the aortic root and ascending aorta are the aortic segments most commonly involved, and they are generally larger when compared to those in similar patients with normal trileaflet aortic valves.” So, the root of my aorta is enlarged. The more troubling issue is that there is suspicion that I have a thoracic aneurysm of greater than 5 cm. According to Cedars-Sinai, “When a weak area of your thoracic aorta expands or bulges, it is called a thoracic aortic aneurysm (TAA). Approximately 25 percent of aortic aneurysms occur in the chest and the rest occur in the abdomen. Thoracic aneurysms affect approximately 15,000 people in the United States each year.” If tests performed to this point are accurate, my second aneurysm is suspected to be in my chest. What does that mean? Good question. I suppose there will either be great news, so-so news, or bad news. The worst outcome would be surgery. I would be lying to you (and to me) if I said that I was not feeling scared. I am and I will adjust to whatever comes my way just as I have all of my life. I had the tests today. In the next week or so, I will write about the experience and what we learned from the tests. Hello! Ive read this article and i find myself somehow a bit more relieved to know i am not alone with my congenit heart problem. I was also born with a bicuspid leaflet aorta. However, besides that i have moderate/severe stenosis in my aorta. I am 27 years old and the doctors tell me i have to be operated otherwise it could get worse, and maybe start accumulating water in my lungs and legs as well as to have blackouts sometimes. The thing is that i am scared to be operated. But after i read that you posted that schwarzenegger had the a valve replacement having a bicuspid aorta as well, then i thought, ok maybe it would be better for me to do that. The thing also is that i happen to looove sports, and because of my condition i have been very limited to do them. For instance i have to avoid any kind of sports competence as well as control myself when doing any kind of sport. I hope to stay in contact with you. Greetings! My surgery for the thoracic aortic aneurysm was indeed scary. The surgery was no fun at all. But the results are great. I have since returned to workouts, the scar is very minimal, and I feel as good as new. My boyfriend jokes that I am bionic now that a section of my aorta is reinforced with Dacron tubing. 🙂 It is a very personal decision, I wish you well and would love to hear how things go – either way. Glad to hear of your outcome after surgery. As long as the valve is healthy. .. functioning well, no need to worry. I’m glad to hear you have had such a successful recovery. Just goes to show, there IS life after heart surgery. Best wishes as you continue to enjoy life. I had a kink in my aorta and had to have surgery at 4 years old. I was also born with a bicuspid aortic valve. Im doing good and having no problems. I was given the same kind of advice not too heavy of weights. Best of wishes to you all! Thanks Brandon. Good to hear that you are doing well. I a m 2 weeks post op… I am 52 yo female and had valve and aorta stem replacement … I won’t lie… It’s been a brutal surgery (recovery) but I have a great support system and feel I’m getting stronger day by day!! Bless you all!!!! Stormy – best wishes for a swift and complete recovery. It gets better. I promise. Just was searching for some info. on aortic stenosis, I’m waiting for a date to have a new valve put in and I’m scared, I guess anyone would be! It is scary. But my advice is to find a surgeon you trust, make sure you are psychologically, emotionally, physically ready to have the surgery and then go into it with the best possible frame of mind. It won’t be easy, but you are strong and your scar will be proof of your strength. Sending you light and best wishes for a speedy recovery Maria. Was endovascular surgery ever an option? Thanks. And I’m glad you’re doing so well. No. My aneurysm was thoracic (chest) and endovascular surgery is generally used for abdominal aortic aneurysm. I was lucky though, my surgeon (Dr. Gaudiani) essentially operated through a keyhole. My scar is only about 4 inches long and since I have excellent scar genes, it is barely noticeable. That’s great. I was born with coarctation of the aorta that I got repaired via a Dacron patch when I was 19. Sometimes aneurysms can develop on or near the site of repair, but I was told they could fix it with endovascular surgery. I sure don’t want to go through that again. No kidding. I don’t either. Best wishes for continued health Frank. Thank you so much for writing this. I’m a 40 yr old female. My story is so similar: Heart Murmur since birth, Bicuspid valve issue. I love to train, lift heavy weights and am bodybuilding/bikini competitor. But, I went to the cardiologist this week because Ive been having a tightness in my chest (almost like I cant get enough air) and less ability to fulfill the HIIT training I do. Where I used to do 30 min interval training and its been hard to get through 10. The Cardiologist has tested me 6 ways to Sunday and said I need to start to take this very seriously. I currently have a 3.8 peak velocity/1.1 cm Aorta valve and a 4.0 cm dilation. So I’m right on the cusp of needing surgery for both. (likely 5-10 years if Im good with the recommendations). No coffee and no weight training will be a HUGE life change. Did you stop weight training and coffee? Leigh – I did end up giving up weight training and HIIT (I was advised to limit weight training and to NOT do HIIT). They did not tell me to give up coffee; however, a couple of years ago I switched to tea after a bad cold. I only drink coffee on vacation. For me, this process helped me to realize that my relationship with food, my body, and exercise was driven by too much anxiety. It was a way to control my life when my life felt out of control. To be honest, I am still struggling with that. I gained weight and have had trouble finding a balance between healthy and obsession. I am so sorry to hear of your struggles. Allow yourself to mourn the loss of weight training. I cried several times, pouted, and was depressed for quite some time after being given my new marching orders. I will say that this has all – especially the surgery – given me an entirely new perspective on life. I hope to never face the valve surgery – the aneurysm was enough. When it is time for surgery, find a surgeon you trust implicitly (I loved my surgeon). It makes all of the difference.